Growing up in Ghana, I learned how harsh the harmattan can be. The dry, dusty wind from the Sahara sweeps across West Africa from November to March. It brings dust storms that damage airways, eyes and skin, and sudden cold spells that can jeopardise vulnerable people. Now climate change threatens to magnify its threat, as the harmattan becomes more severe and less predictable, and carries more dust. The evolving threat of the harmattan is a stark example of how we need to collaborate to protect public health from the effects of climate change. In the case of the harmattan, we need to make sure that accurate weather forecasts travel the “last mile” to reach people in the wind’s path so they can take shelter. Climate change will magnify and multiply existing health threats – in many cases dramatically. The effects will be felt hardest in low and middle-income countries in Africa and South Asia. The Paris Agreement, which has focused unprecedented government attention on climate change, underlines the climate threat to health. Now we need a comprehensive programme of action that places people and their health at the centre of the global response to climate change. 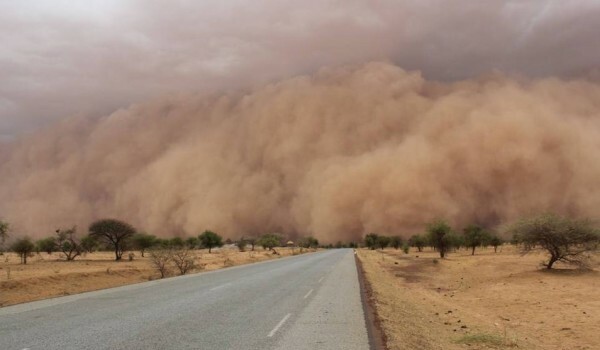 The threat from the harmattan shows us a good place to start: by improving collection of climate and weather information, preparation of forecasts — including forecasts of dust and sand storms — and distribution of weather warnings to those who need them. The Regional and Global Prediction Centres of the World Meteorological Organization(WMO) have the supercomputers, models and experts needed to generate forecasts and distribute them to national authorities. However, national weather services often don’t have the means to interpret and distribute forecasts to authorities, health professionals and the general public. It would take a small investment to provide these services with the equipment, communications, staffing, training and coordination they need to distribute accurate, timely warnings to some of the world’s poorest regions. To protect people’s health from climate risks, we need to transform the way we approach such complex problems. That’s why the World Health Organization (WHO) and the WMO are working together to help public health professionals become more “climate smart”, using climate and weather information to make the best decisions. In the areas that need to become climate-smart the fastest, however, such as Africa and small island developing states, many health professionals are not yet using forecasts of droughts, floods or extreme temperatures – mainly because national weather services don’t have the funding, tools, training or institutional arrangements necessary to generate or share such forecasts. How can we change this? We need to support weather and climate services in developing countries so that rather just collecting and providing data, they can become trusted suppliers of information and knowledge to the public. To do that, they need access to data management and communication technologies that have already been tried and tested in other sectors, such as agriculture, where being climate-smart is becoming the norm. We need to place greater emphasis on providing people with the timely information they need to protect themselves from extreme weather. Early warnings of hazards can not only help communities respond and adapt to health risks posed by climate change, but also raise awareness of the causes and effects of climate change — and hence build public support for policies that strengthen resilience and mitigate against the impact of climate change. Climate change is complicating the already enormous challenges of providing health services around the world – and those complications are felt most keenly in the world’s poorest countries. But I am confident that the growing awareness of the links between health and climate change will encourage health professionals, UN and government agencies, policy makers and the scientific community to come together to tackle these problems. The last time the harmattan swept through Ghana, I was there to see it. The skies were dark for days. I thought of the people in remote and rural areas, caught unawares by sudden storms of sand and dust. We have the means to help them — not just now but in the future, when climate change makes things worse — so we should join forces to do everything we can.